I bought this product a year or so ago (yikes, now that I'm thinking about it, probably two years ago) because I heard everybody raving about it. Naturally, my hair dries pretty straight with like, a very, very, very faint wave. I mean, you'd need a microscope to see the wave in it. The problem is that I hate straight hair on myself, so my hair without some sort of curly or wavy texture is...not welcome in my life. I've tried mousses, sea salt sprays, anything that could possibly give my hair a little bit of life without looking like a frizzy, crunchy mess. At first, I just don't think I understood how to use this. I mean, it's pretty self-explanatory. You spray some into your hair whether it's damp or dry and it gives you texture, right? But my hair is also really thick and since it's naturally pretty straight, it didn't want to work properly. As much as I would love this to work on my natural hair without any heat, it doesn't help me all that much, but I love using it when I curl my hair very faintly. I'm talking, three minutes or less to just make it not pin straight. 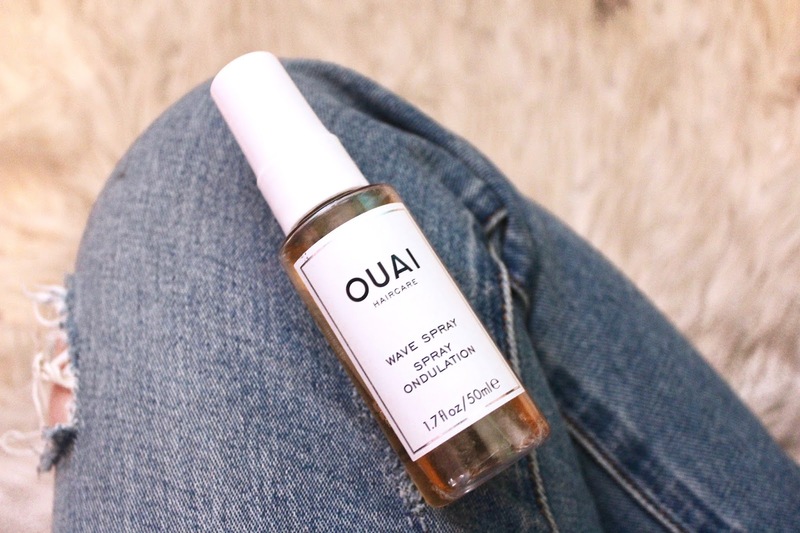 Misting this over the dry hair and sort of scrunching it in gives my hair a really nice subtle wave without totally deconstructing the curl. I use it in place of hairspray so that my hair looks effortless even though I did technically have to put heat on it because it just doesn't want to cooperate with the product on its own. But as a finishing spray for my hair? Fantastic. The minute the movie was announced for this book, I pushed it to the top of my to read pile. I've had the book for about a month now, but I kept putting it off because I wanted to read my borrowed books before I delved into the books that I've purchased. However, I couldn't wait any longer to dive into this book by Angie Thomas and I devoured this thing. I mean, I finished it in about six hours and read it through my beloved Sunday night dinners with my family. It was so engrossing, so fantastic, and just as good as everyone keeps saying it is. The Hate U Give centers around sixteen-year-old Starr from Garden Heights, a poor neighborhood, who has to balance her home life with her second world: a suburban prep school. Her worlds seem to collide when she is the only witness to the fatal shooting of her childhood best friend, Khalil, at the hands of a police officer. The story gains national attention and Starr is the only person, besides the cops, that know what really happened that night. I can't put into words how much I appreciated this book. I keep using the word "relevant" when describing it to people, but it is. I want everyone and their mothers to read this book. The topics addressed–shootings of unarmed black people at the hands of law enforcement, the riots that follow, life in a low-income community, and racism, even of the subtle kind–were timely and explained so cleverly through the eyes of a sixteen-year-old girl, her family, and her community. Thomas nails Starr's narrative and there were so many "controversial" political topics explained through dialogue and the actions of characters, which is why I think this is a must read for everyone. This book is real and raw and while this books and its events are technically fiction, they're not. If you're debating reading this, do it and do it soon. I read another Mary Higgins Clark book, I couldn't help myself. Menley and Adam Nichols' marriage is starting to fall apart after Menley is unable to forgive herself for the death of their two-year-old son, Bobby, in a car accident. That is, until their daughter Hannah is born. The couple decide to rent a house on Cape Cod for a month in hopes that the peace with help rebuild their life together and bring tranquility to their family. Until strange incidents start to happen in the historic house, which cause Menley to relive the trauma of her accident that slowly eats at Menley's sanity. Maybe her books are predictable, I don't know, but I'm always surprised at the end. I think I get so wrapped up in the storyline and the suspense that I don't think about anything but the obvious choice. This one had a "supernatural" element with the deep history of the house and I screeched at the end, I'll admit it. Ugh, I just think these books are so fun to read. Suspense books just keep me on the edge of my seat and Mary Higgins Clark is, clearly, the queen of suspense. My lovely friend Hannah from High Street, Sea Breeze sent me a box of goodies for my birthday and Christmas, which contained a lipstick from my all time favorite lipstick brand. 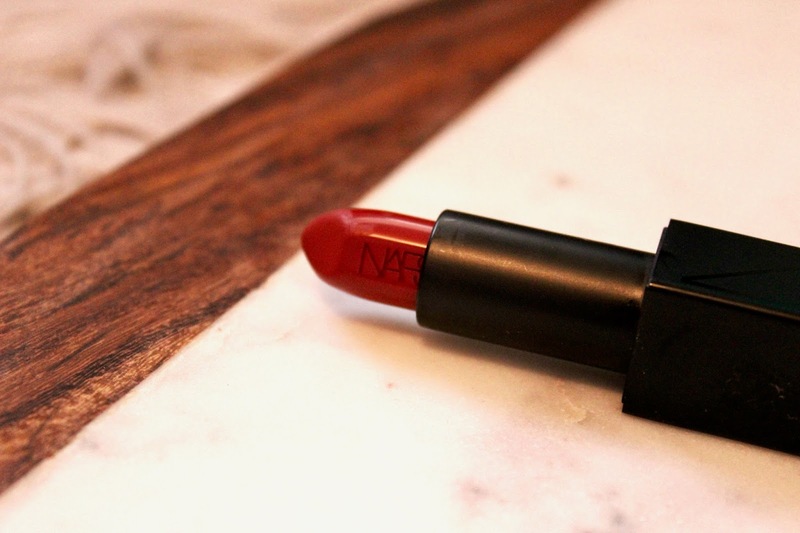 I love the NARS Audacious lipsticks and this shade in my best friend Lesley says Leslie is the perfect addition to my collection. Sephora says it's a "cherrywood" color, but like, it's like a brick red/burgundy shade. I wore it in my post earlier this week and it matches my favorite Rag & Bone pants perfectly, so thanks for that Hannah! But really, this formula is just super creamy and comfortable to wear. It's technically a satin finish, but since I blot my lipstick, you can get it to be pretty matte, it just doesn't get super dry and wears a little bit at the center of the lips when you eat. 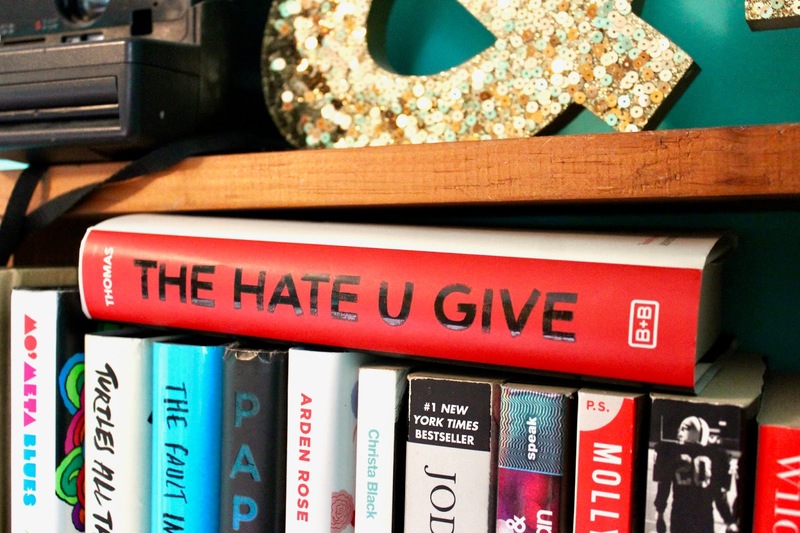 Ahh the Hate U Give has been on my "to-read" list for the longest time! I'm wrapping up two books at the moment and once I finish reading "Promise Me, Dad" by Joe Biden, I'm picking up The Hate U Give!